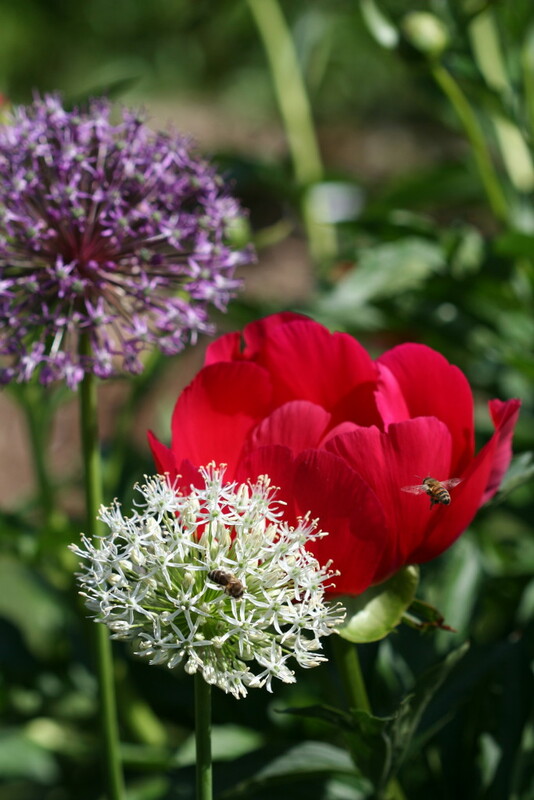 The peony season is short and sweet, but the folks at the Micheal and Judi Denny Peony Garden at the Oshawa Valley Botanical Garden in Oshawa, Ontario, have managed to extend the peony season to seven weeks by carefully choosing varieties that bloom early and late. This was listed as an unknown variety. It sure is pretty, though. I had a chance to visit this lovely park and garden as part of the Garden Bloggers Fling in Toronto last week. The botanical garden was busy with weddings the day we visited, and the peonies were in glorious bloom. Micheal Denny, who died in 2013, was an economics professor at the University of Toronto and a devoted peony lover. 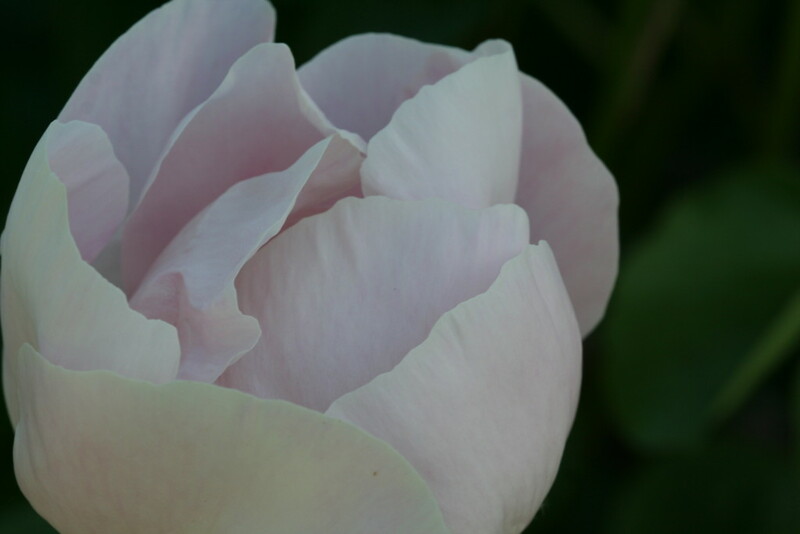 The garden named in his honor includes more than 300 varieties of peony and is one of Canada’s largest collections of contemporary peonies. 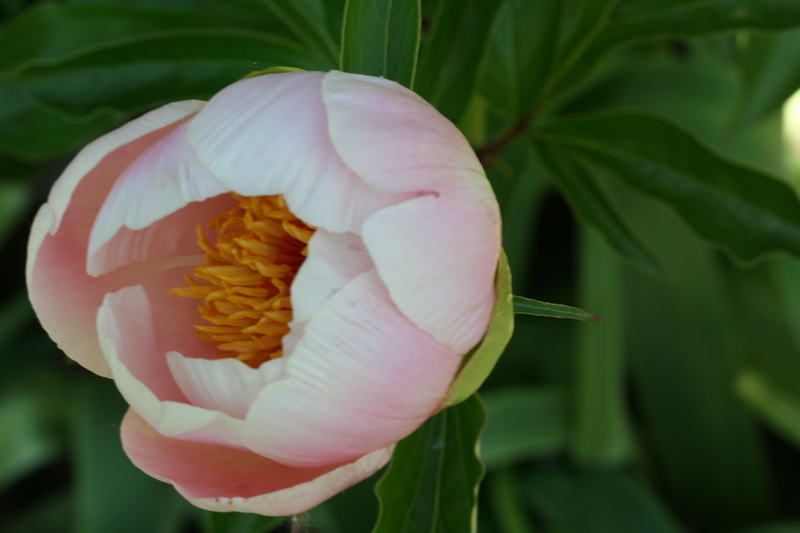 This weekend (June 13-14), the garden is part of the city of Oshawa’s annual Peony Festival. 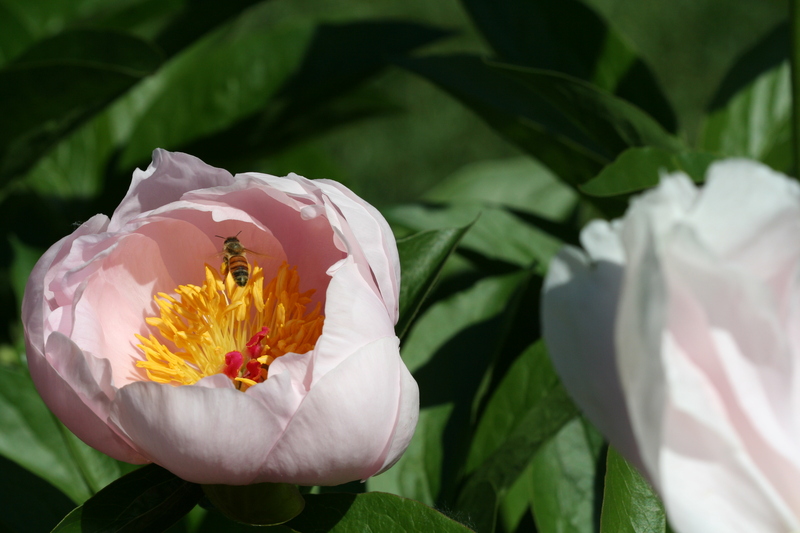 A bee checks out Pink Vanguard peony. 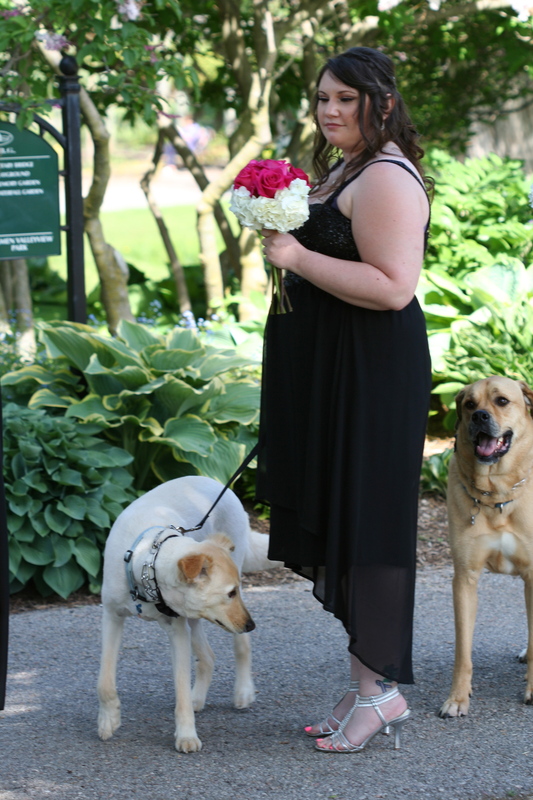 These bow-tie clad dogs served as attendants at their owner’s wedding, one of many at the gardens the day we visited. What fabulous photos of beautiful peonies. Mine are not blooming yet, but most of them are late season – because I wanted to make sure something was blooming if the roses didn’t coperate and be in full bloom the last Sunday in June when we have the Annual Rose Viewing – our version of Garden Open Today. 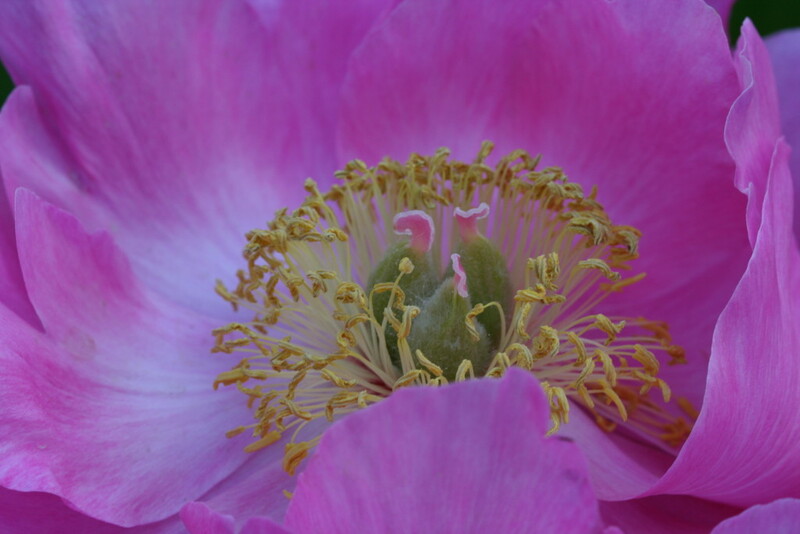 You got some great peony pics. I love the one with the bee flying to the red peony.